A custom pool slide in progress at a NY residence. The rebar cage has been formed for the gunite shoot. 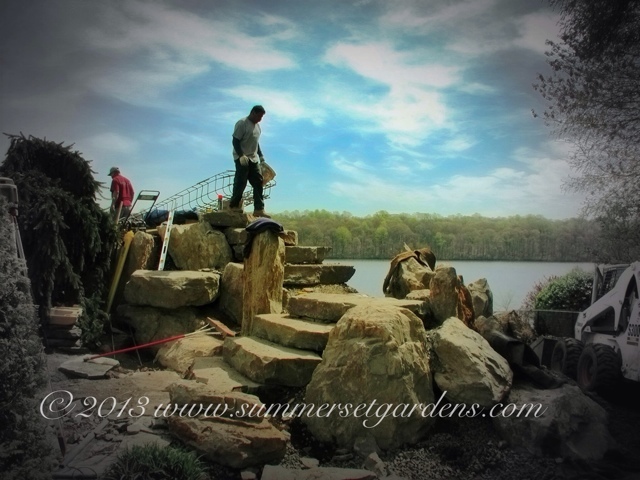 Natural stone steps and boulders are being installed. After the hardscaping is complete a railing and plantings will be installed. Landscape architecture and landscape construction services for the NY and NJ areas.